Mary Poppins is back. 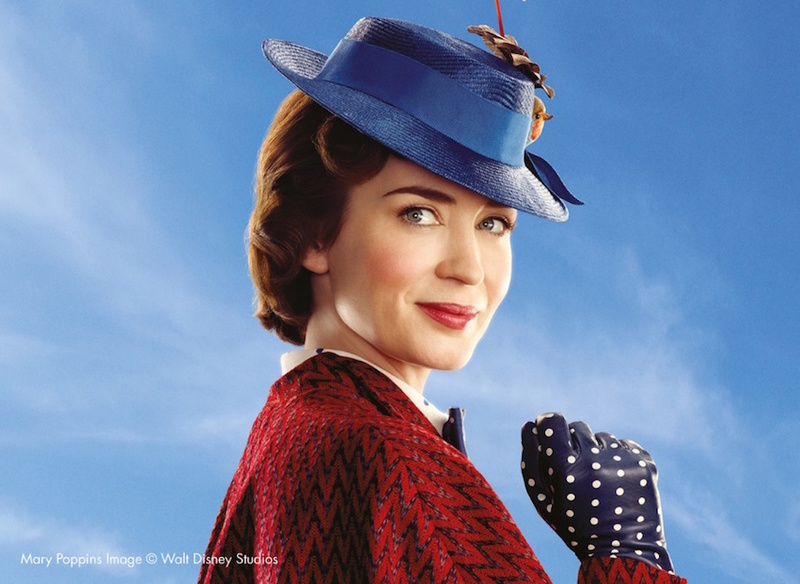 Everyone's favourite nanny graces our screens again in sequel film Mary Poppins Returns, released in December. To get you back into the world of Cherry Tree Lane, take a look at some of the Mary Poppins themed events going on in London in the mean time. 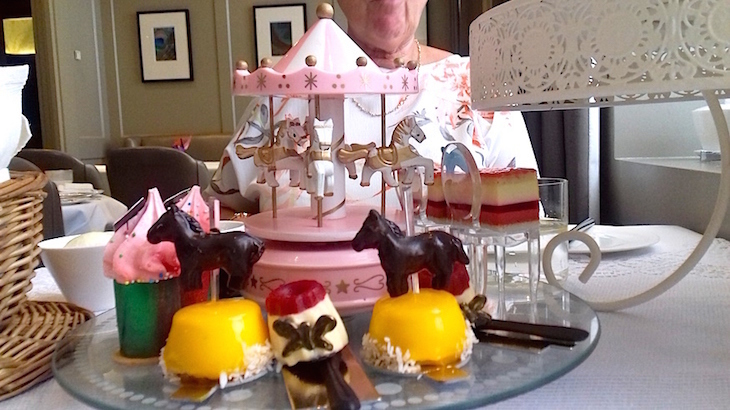 A Mary Poppins themed afternoon tea was always going to be whimsical, but cakes spinning on a musical carousel on the table in front of us is beyond even our wildest dreams. Throw in tiny chocolate umbrellas, gooey replicas of Mary's famous hat and drinks served in fairytale carriages, and 'whimsy' is just the tip of the iceberg. Kona's Mary Poppins afternoon tea is beautifully executed, delicious, and served in a dining room fancy enough that it feels like a bit of a treat. Mary Poppins Afternoon Tea at Kona, 51 Buckingham Gate, SW1E 6AF. £40-45 per person, booking required. Aqua Shard also offers a Mary Poppins afternoon tea, served 31 floors above London, the city where the film's set. 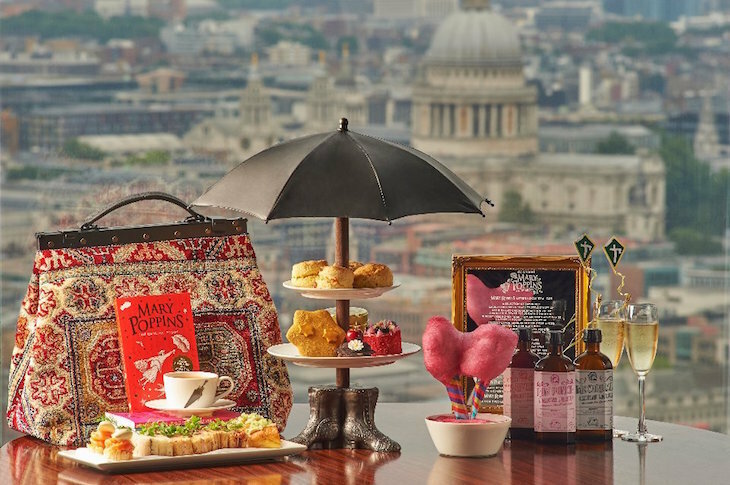 Overlook the chimney pots of the big smoke, including the steps of St Paul's (little old bird woman not included) as you tuck into egg and black truffle sandwiches, mini crumpets and fairground candy floss. It's served on a traditional tiered stand that's topped with Mary's umbrella and tailed with her boots. Mary Poppins afternoon tea at Aqua Shard. £49 per person, booking required. 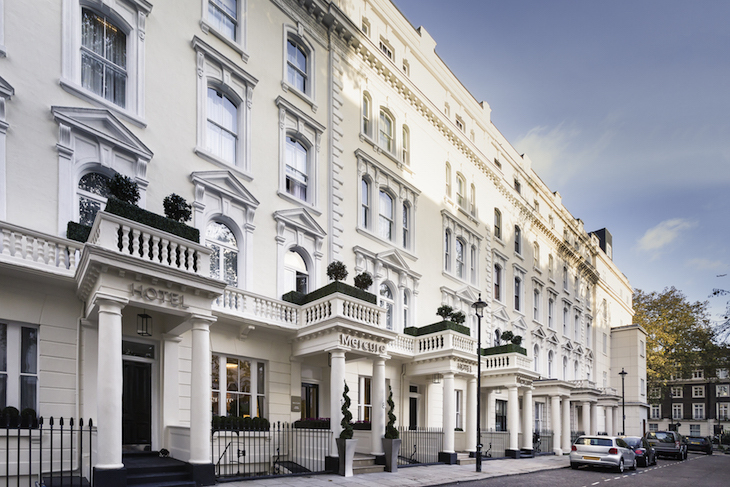 Kensington's Milestone Hotel has put together a package for anyone wanting a Poppins-themed weekend in the capital. Spend a night in the hotel overlooking Hyde Park, and enjoy a full English breakfast, a Super-cala-cocktail-licious cocktail, and the hotel's Spoonful of Sugar afternoon tea. For an extra charge, take a kite out into Hyde Park and let it fly (and take the kite home afterwards). The afternoon tea can be taken separately, if the full package is out of your price range. Practically Perfect at The Milestone Hotel, 1 Kensington Court. £540 per night for two adults. Spoonful of Sugar afternoon tea, £50 per adult/£25 per child (booking required). Both available until 31 January 2019. Knightsbridge department store Harvey Nichols has had a Poppins themed makeover. Four costumes from Mary Poppins Returns are on display in the store's windows, a cherry tree bursts through floors and ceilings and arches over the escalator, and an umbrella canopy has been installed in the fifth floor restaurant. 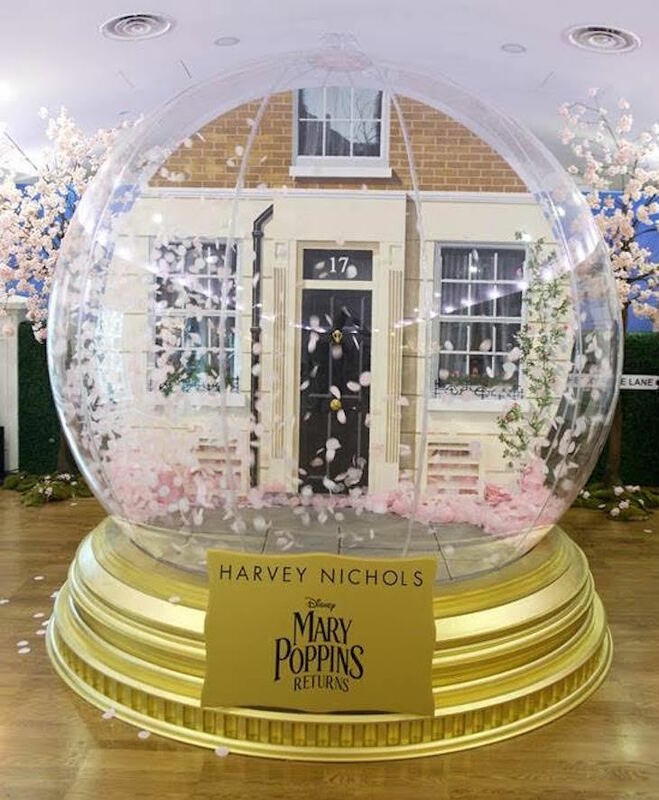 The highlight is the Mary Poppins themed snowglobe — step inside the inflatable snowglobe to have your photo taken against a backdrop of 17 Cherry Tree Lane, the house in which the Banks family live. It'll cost you £10 though, and you need to book in advance. Fizz, Bang, Poppins at Harvey Nichols, until 4 January 2019. Guests at the Mercure London Hyde Park Hotel have the chance to book a Mary Poppins package to coincide with the film's release. You'll receive local cinema tickets, popcorn and a special guide to London locations inspired by the original 1964 film, made in partnership with Helen Blakeman, Screenwriter & Chair of the Children’s Committee at BAFTA. Find out all you need to know about the new film, Mary Poppins Returns, including cast, characters and release date.